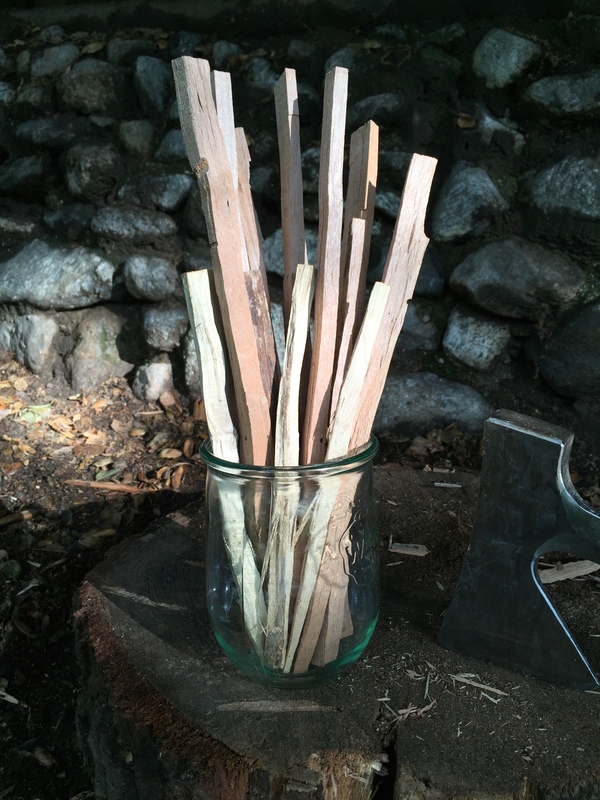 Slender pieces of kindling are not only exceedingly attractive, they’re the foundation of a well-built fire. Use this method to cut them without amputating a digit–especially when chopping after a couple inches of whiskey. Lie a stick of wood flat on your stable chopping block. With both hands on your sharp hatchet or axe, align the blade with the grain and strike the wood in the center. Pictured is the 26″ Estwing Camper’s Axe which is forged of a single piece of steel–the head can’t come loose, and the handle is unbreakable.